Back in December 2012, rumors started to circulate about an upcoming Apple smartwatch called the iWatch. Since then we had countless reports about this wearable device. The latest report from Japan's Nikkei Asian Review claims that Apple decided to launch the iWatch in October 2014. The new device will run on Apple's newly announced iOS 8, and will monitor health-related data, such as calorie consumption, sleep activity, blood glucose and blood oxygen levels. It will also show notifications from your iPhone of course. According to the Nikkei, the iWatch will have a curved OLED display (earlier reports suggested that LG Display will be the exclusive supplier). Apple is apparently very confident in this new product, and it plans to produce about 3 to 5 million units per month. The iWatch will have a small display (some say 1.52"). Will LGD have enough capacity? The company currently has a single 4.5-Gen production line with a capacity of 6,000 substrates per month. This means 400,000 6" panels or a little over 5 million 1.52" panels. So it's a stretch - but if LGD commits its entire capacity for Apple, this may be possible. At least this is the first Apple rumor that may make sense. course it means LG will not be able to produce panels for its own products, it cannot afford any down time or R&D work on that line. And of course it means that Apple risks a major product launch with a single supplier using a new technology. On the other hand, we know that LGD did say several times that they want to expand their flexible OLED production, once even saying that they intend to double the capacity before the end of 2014. Will LG be an exclusive supplier for Apple's iWatch's 1.52" OLED displays? 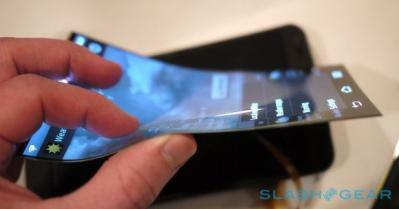 Apple, looking for another flexible OLED iWatch supplier, to end patent war with Samsung? September 9th: Will Apple unveil the iWatch with a flexible OLED?